Affordable, confidential mental and behavioral health services. Over 100,000 clients have been served since 1972. If you are from a non-UF healthcare practice and would like to refer a patient to us, please click on the link below titled “Referral Form” and follow the instructions on the form. **Latest arrival accepted is 45 minutes before closure, as check-in window closes at this time. The Clinical and Health Psychology Clinic is a psychological service, training, and research center that provides evaluations and treatments for patients with a variety of problems. In addition, we offer cognitive and diagnostic assessments for a number of issues. The Clinical and Health Psychology Clinic also provides general mental health services for adjustment and phase of life issues (e.g., divorce, family discord) as well as treatment in specialty areas such as anxiety, depression, childhood behavior problems to name just a few. Our therapists provide services with and/or under the supervision of licensed, UF faculty, psychologists in the Department of Clinical and Health Psychology, in the College of Public Health and Health Professions. The Clinical and Health Psychology Clinic is designed to provide high quality services to patients and to gain information that will contribute to the further understanding and treatment of other individuals who experience similar concerns. How can our Psychologists help? Our practicing psychologists use an assortment of evidence-based treatments to help people improve their lives. Most commonly, they use therapy (often referred to as psychotherapy or talk therapy). There are many different styles of therapy, but our psychologist will choose the type that best addresses the person’s problem and best fits the patient’s characteristics and preferences. It is not necessary for individuals to be affiliated with UF Health to receive services at the Clinical and Health Psychology Clinic. Should the Clinical and Health Psychology Clinic not be suitable for the needs of a patient, a referral will be made to an appropriate service provider. 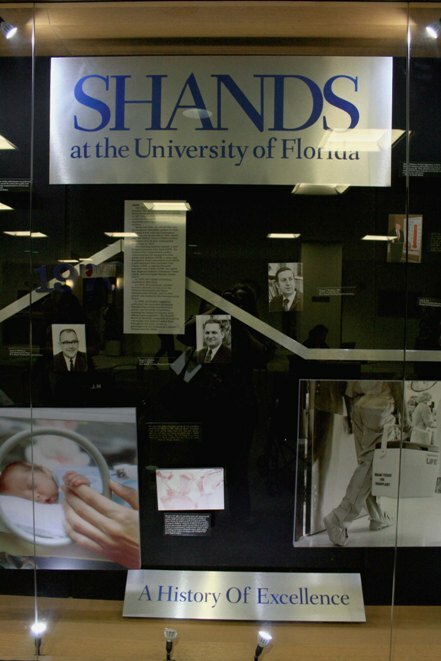 The University of Florida Psychology Clinics offer specialized psychological assessment, consultation, and scientifically based treatment programs in a broad range of areas. Treatment teams of internationally recognized and board-certified experts provide comprehensive services for children, adolescents, adults, and families. The Clinical and Health Psychology Clinic is a non-profit clinic that serves as a supervised training facility for advanced Ph.D.-level graduate student clinicians, Psychology Interns and Post-Doctoral Associates. Every trainee is supervised by a licensed psychologist, and all of our patients receive the benefits of a licensed psychologists supervisory expertise and oversight. The Clinical and Health Psychology Clinic accepts most insurances (including Medicare), cash, check or credit/debit cards. Unfortunately, the State of Florida does not reimburse psychologists through Medicaid. For those who meet eligibility requirements the Clinic also operates a reduced-cost sliding fee scale. We work with each client individually to determine affordable rates for our services.